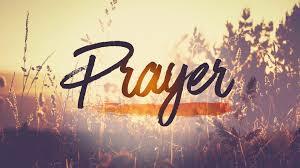 God is honored through prayer because our will and strength are intentionally given to His glory. Our first love is remembered because the “eye” is focused on Christ. As the believer prays, peace, joy, and satisfaction, that is only found in a close relationship with Jesus is evoked. Through prayer, it is recalled how Christs’ worthiness, humility, and holiness on the cross places Him in a class all by himself. Because of His infinite perfections, greatness, and worth, when prayers are uttered, the level of faith is increased, divine insight is given, God’s truth goes forth and His covenants and promises are guarded in the heart. 1 Chronicles 14:14 says, “so David inquired of God again, and God answered him…” Prayer acts like a soldier, the warrior never quits, the mind of Christ is kept and instructions are given to handle situations or tasks. Even when it is unknown what to pray, Romans 8:26 NIV says, “the Spirit himself intercedes for us through wordless groans.” It is important in prayer as said in Mark 11:24 NIV “to believe that you have received” “through God’s wisdom, understanding and not forgetting or turning from them” Proverbs 4:5 NIV. Lastly, to accurately discern and pray the Word, “we must abide in Him” John 15:7 NIV and “…forgive” Mark 11:25 NIV. Sign up to receive Newsletter via email. Church, founded by Elder Charles Gamble in 1973 and incorporated on June 1, 1978.